Female Student Shot On Her Birthday Was Killed Over Cult Saga? 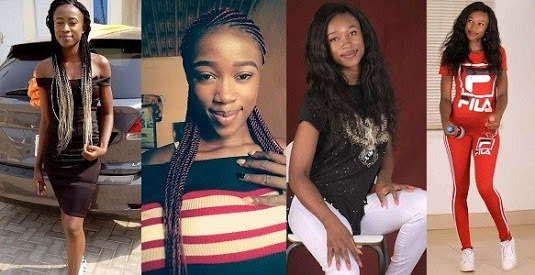 The police have confirmed that the killing of a female final year student of the Imo State University, Owerri, Miss Kelechi Ibe, at her 23rd birthday party was related to cultism. Ibe, who was expected to graduate in August was shot dead in Owerri, the state capital last Thursday by gunmen while she was partying with friends on her birthday anniversary. What happened? The killing of the Banking and Finance undergraduate, which took place on the ever-busy Douglas road, left residents devastated and in a state of panic. Southern City News learnt that while at the party, some gunman pointed a gun at her, pulled the trigger, which led to her instant death. The President of her department, Victor Adiele, said that the department was in a mourning mood, describing her death as a painful loss. He said, “It was a black Thursday for the entire students of Banking and Finance of Imo State University, Owerri. “With tears of agony and bitterness, the entire students mourn the death of our beloved colleague, course mate, friend, sister, Kelechi Assumpta Ibe, popularly known as Kay cee. Speaking to The Punch, the State Commissioner of Police, Chris Ezike, maintained that the killing of the female final year student was cult-related. Ezike disclosed that preliminary investigation by the command revealed that issues relating to cultism led to the death of Ibe at her birthday party. The CP disclosed that he had therefore instructed the Anti-Cultism Unit of the Police Command to take over the investigation process of the murder case from the State Criminal Investigation and Intelligence Department of the Command. Ezike said, “The killing of the female final year student was cult-related. I have therefore instructed the Anti-Cultism Unit of the Command to take over the matter from the State CID. “This is because the Anti-Cultism Unit possesses the professional wherewithal than the State CID in issues relating to cultism. We are closing in on the suspects and we will soon round them up. Cultism is destroying our society and our universities.